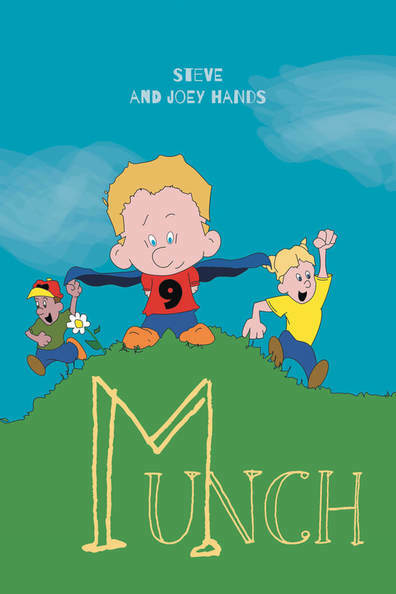 ​Munch is the story of Randy, a young boy who loves to snack on candy and gobble up sweets. When his mother invites Randy to run and play outside, he prefers to stay in and watch TV on the couch. But one day Randy gets hungry, and unable to find any sugary treats in the house, his adventure begins! Follow Randy’s magical transformation as he learns to love fruits and vegetables. When he eats a carrot, he begins to hop like a rabbit. When he snacks on a banana, Randy runs outside to swing from the monkey bars. How will oatmeal and steak work their magic? Will he swing like a Mabbit? Or run like a Tonkey? "Join in as Randy discovers all of the fun he can have with a healthy snack and a goofy romp outside." Lay a foundation of nutritional awareness for your children with Munch. Let Randy’s adventures serve as a launch pad into their lifelong enthusiasm for the outdoors, health, and activity. Wait, What Are Readers Saying About MUNCH? "A fun, easy and entertaining read with an excellent message. A great introduction to healthy, mindful eating and the joys of an active lifestyle."